As an active business community participant, Ignite Leadership’s founder and CEO, Catherine Rocheleau, is often featured in the media or recognized for her contributions. As a long time member of the Burnaby Board of Trade, Catherine has served on the Membership and Women’s Business Success Network Policy Committees. Catherine has also participated in Business Walks, Membership Drives and acted as an Ambassador for many years, helping new members become more active and better access maximum value from them membership. In March 2018, the BBOT appointed Catherine as the first Chief Ambassador. In this volunteer role Catherine will liaise with BBOT staff, Ambassadors and members to enhance member engagement, share insights from members and promote the benefits of membership in the Board of Trade to business leaders. — If you want to make a change, how are you going to know whether it’s effective and how quickly are you going to know that it’s effective? How are you able to evaluate and measure change? Distinctive Women Magazine recognizes Catherine Rocheleau and other leading women across Canada. In December 2016, Catherine Rocheleau was interviewed by Kathy Ireland for an up-coming episode of Worldwide Business with kathy ireland® – a Fox Business Network as sponsored prgramming. This episode will feature how Ignite Leadership assists businesses with team dynamics, communication and leadership. A Facebook Live video was released on December 1st. The TV episode will be released in Spring 2017. 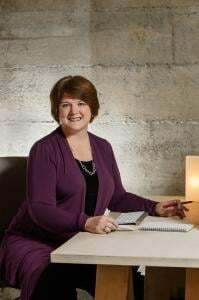 A leadership expert experienced in working with corporations, governments, the public sector and nonprofits, Catherine also specializes in helping small to medium sized companies’ performance by improving team dynamics. With years of experience in helping companies address internal problems, she has a unique perspective. Catherine Rocheleau will be speaking at the up-coming Distinctive Women’s IGNITE III Conference in Toronto, ON as part of the Ignite Your Business Panel. This panel will will help attendees become motivated, invigorated and inspired to take business to the next level! Catherine will join other leading business women including: Barbara Cartwright, Canadian Federation of Humane Societies, Dr. Agatha Bis, Smiles By Bis, and Colleen O’Connell-Campbell, ScotiaMcLeod. Actionable Conversations confirms Catherine Rocheleau as a certified Actionable Consulting Partner (ACP). Actionable Conversations is a unique and flexible platform that offers organizations of all sizes the ability to drive real change on an individual, team and organizational level, with measurable behaviour change and leader impact. 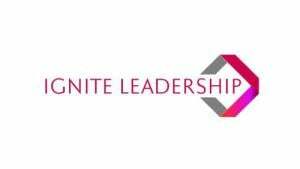 Catherine Rocheleau and Ignite Leadership are thrilled to add this new training and skill development platform to our menu of services designed to help build better leaders, better teams and amplify learning! October 1, 2015 Catherine Rocheleau, Founder & CEO of Ignite Leadership International ® has joined an exclusive network of industry leaders and upper-echelon performers featured in the national edition of Distinctive Women Magazine. Or egon based author, Steve Schein, shares his findings and insights on the psychology of sustainability leaders and how they are able to undertake transformational change within their organizations. This event will include great networking with other business leaders, professionals and entrepreneurs. Pick up a copy of his book “A New Psychology for Sustainability Leadership“. As the Guest Speaker for the upcoming 2015 Ashton College Summer Achievements Award Ceremony, Catherine Rocheleau has been invited to share her own success story and how practical education will benefit students as they advance in their new careers. It is with great honour, we announce Ignite Leadership International’s Founder & CEO, and Award Winning Best Selling Author, Catherine Rocheleau will be leading a breakout session at the Spark Women’s Leadership Conference in Ft. St. John on May 12, 2015. The session, called “Introverts – Leadership Underdog or Shining Star” will guide participants through three main personality styles, how personality styles impact a person’s leadership style and how tapping into their inner power can enable them to engage, empower, lead change, and be the shining light of their organization. Ignite Leadership International ™ Founder & CEO, and Award Winning Best Selling Author, Catherine Rocheleau, will be speaking at the upcoming Ultimate Women’s Conference in Denver CO., February 6 – 8, 2015. Catherine will be participating in the VIP Day event, a participant in some coaching sessions with other speakers, and speaking on how you can Add SPARK and Grow with Vision in your business! Join over 100 other women entrepreneurs to build your network, create phenomenal joint ventures and learn fantastic insights that will start your year off on the right foot! “I want to personally thank you for your contribution to our tournament on September 20th. In addition to helping out The First Tee of Greater Vancouver YMCA – your advertisin g contribution to Golf Fore Gals allowed for us to be able to hand out the Pace of Play document to every golfer, AND subsidized the printing of the rules cards to include in our passport – which meant more money to our charity. As you know, this year our charity of choice was The First Tee of Greater Vancouver YMCA – and we raised $2800 for them with special events during the year, and FUNdraising at the tournament. They tell us this is huge as it is enough to put 30 kids through their program at no charge. It feels good to give back to an organization that does so much for kids – using gol f.
Best Selling Author, Catherine Rocheleau, MBA, receives ‘The Quilly Award’ from The National Academy of Best Selling Authors at a Gala Event in Hollywood California. September 26, 2014. Best Selling Author, Catherine Rocheleau was presented with a Quilly Award for contributing to “The Winning Way”. Her contribution featured “3 Attributes to Ignite the Leader Within”. The Gala event was attended by over 200 other Best Selling Authors including Mark Victor Hansen (author of The Chicken Soup for the Soul series), JW Dicks, Nick Nanton, Peter Diamandis and Lisa Sasevich. North Vancouver, BC – April 9, 2014 – Catherine Rocheleau, Founder and CEO of Ignite Leadership International™, has joined a select group of leading business experts from around the world, along with best-selling author and speaker, Brian Tracy, to co-write the forthcoming book titled, The Winning Way: The World’s Leading Entrepreneurs and Professionals Share How They are Winning in Life and Business and You Can Too! Nick Nanton, Esq. along with business partner, JW Dicks, Esq., the leading agents to Celebrity Experts® worldwide, recently signed a publishing deal with each of these authors to contribute their expertise to the book, which will be released under their CelebrityPress™ imprint. Catherine Rocheleau has accepted a role as Program Advisor on the Professional Advisory Council for Business, Sales & Marketing and Human Resources at Ashton College. Ashton College is an accredited educational institution located in downtown Vancouver offering innovative, personalized, and fully comprehensive learning experiences to both domestic and international students. Catherine Rocheleau was recognized for her service over the past year. Catherine serves on the Membership Committee, is an ACCESS Program Connector and a BBOT Ambassador. Catherine Rocheleau has been selected to contribute to an up-coming book with Brian Tracy, called “The Winning Way”. America’s PremierExperts recognized Catherine for her commitment to publishing expert content for the benefit of consumers and journalists. What does taking the Pledge mean for your business? Catherine Rocheleau is featured in this prominent Vancouver, B.C. publication. This anthology is written by 55 amazing women entrepreneurs worldwide. Each author shares how and why their passion has fueled their entrepreneurial endeavours. Each chapter is thought-provoking and offers insightful business and personal development tips, ideas and more! Let us help you navigate the unique set of challenges you face in your business. Contact us today to explore how we may be able to help you, your business, your career or your team!